Every cell in your body depends on your thyroid’s ability to produce the right hormones. Conventional medicine has a very simplistic way of looking at thyroid health. Medical doctors usually only test one thyroid hormone called TSH. 30% of women who have “normal” levels of TSH still don’t have healthy amount of the other 2 thyroid hormones called T4 and T3. In fact, T3 is the more active thyroid hormone and the one that makes us feel the most balanced. We need to make sure our body is converting T4 to T3 to feel energized, improve our metabolism and avoid constipation and hair loss. Tyrosine – It is needed to produce T4 and T3. Tyrosine is an amino acid that we get from our food, more specifically from protein. But for it to get released to be used by the thyroid we need a certain amount of good gut bacteria. 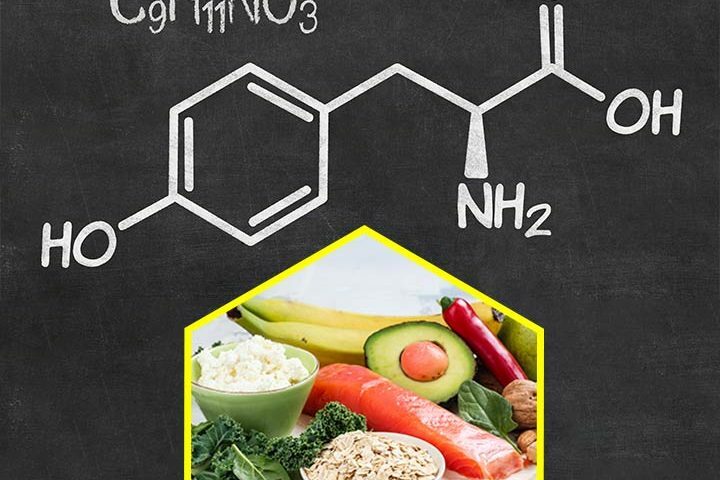 So if you are not having enough protein in your diet or if you are lacking the good bacteria and experiencing bloating and gassiness and other digestive problems, then you may be low in Tyrosine. Iodine– 70 to 80% of Iodine is stored in the thyroid gland and it is needed to produce the thyroid hormones T4 and T3. A good source is seawater fish (NOT the fresh water fish). But be careful because taking too much iodine can be counterproductive to the thyroid too. It is best to test your levels with a urine sample. Selenium – It is fairly well absorbed (80% rate) in the small intestine. Selenium is probably one of the safest and yet one of the most important nutrients needed to convert the T4 to more active form of the thyroid hormone called T3. If your T4 is in the higher end of normal and your T3 is in the 2s or 3s – then think Selenium! If you are not sure if all your thyroid hormone levels are optimal (not just the TSH but also the T4 and T3), ask us for help. We can help you evaluate your current state and guide you on what nutrients you need to feel more balanced. Please remember we offer a 10 min free “Meet&Greet” if you would like to ask us some more questions.